a.adopts instant adhesive tapes for sealing the carton. c.Left & right conveying. Finish the up & down sealing at one time. e.Right and Left driving make sure the heavy carton move. f. Belt tension & tape tension can be adjust easily. g. Can be applied in sealing hard and soft carton. Looking for ideal Semi-automatic Carton Sealer Manufacturer & supplier ? We have a wide selection at great prices to help you get creative. 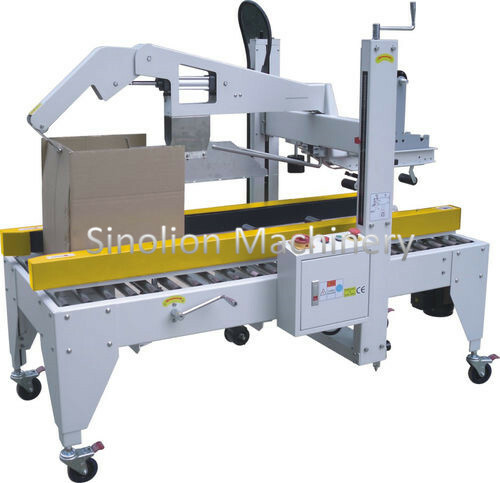 All the Box Sealing Machine are quality guaranteed. We are China Origin Factory of Packing Sealing Machine. If you have any question, please feel free to contact us.